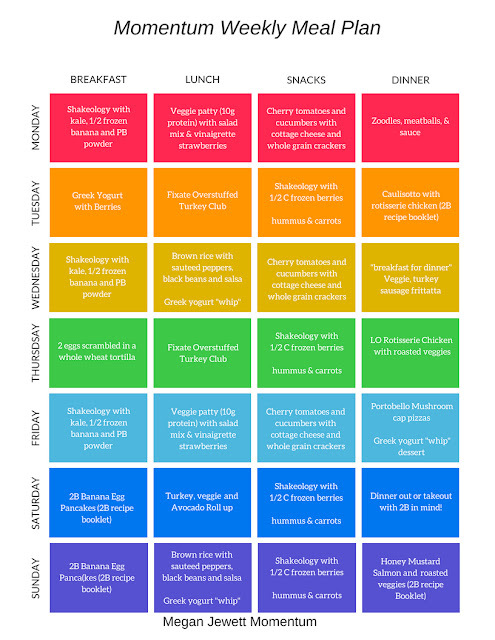 Here's a meal plan for you to snag. Recipes and grocery list below! 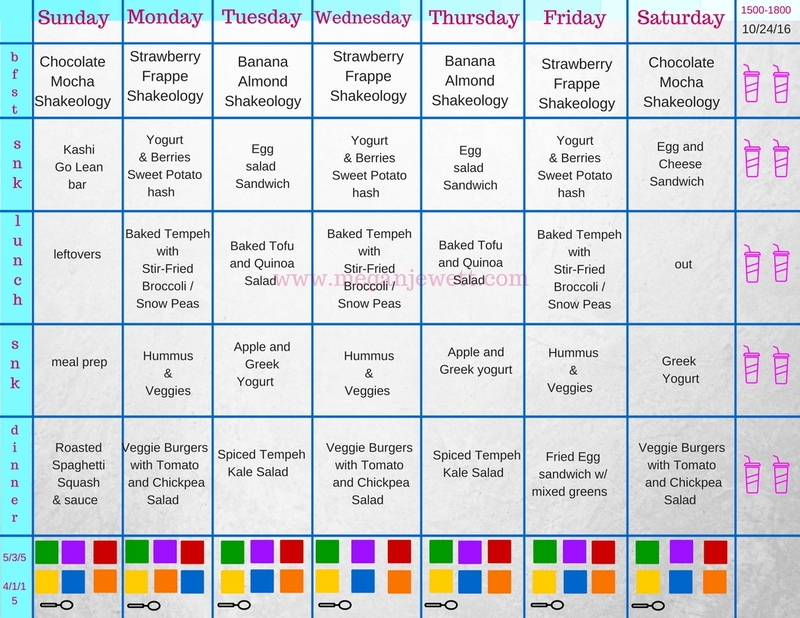 Want to learn how to meal plan like a pro? 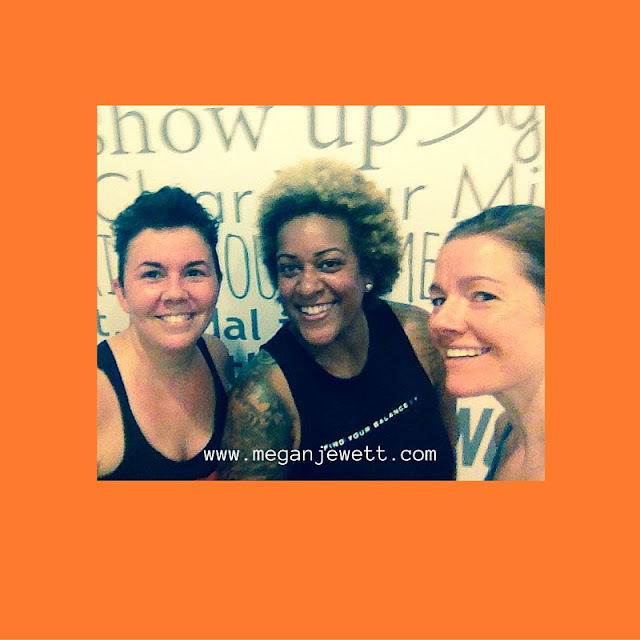 Want to be part of a community who will support, encourage, and catapult you on your way to weight loss and health goals? I'll be in touch to hear more about your goals and share some information with you. 3. A rice cooker will make quick work of cooking the quinoa, and will shut off automatically when it’s done. If you do not have a rice cooker, it can be cooked on a stovetop [//www.beachbody.com/beachbodyblog/nutrition/make-healthy-fluffy-quinoa]. Cook ½ cup quinoa in 1 cup water and then set aside to cool. 6. Fill three small food containers each with ¾ cup yogurt and 1 cup berries. Make the Apple Yogurt Dip and store in small containers. Place in refrigerator. 9. Season remaining 8 oz. tempeh with ½ tsp. ground cumin, and salt and pepper to taste. Spray a nonstick pan with cooking spray and heat over a medium flame. Add tempeh and cook 2–3 minutes per side. Remove from skillet and set aside. 12. In a medium bowl, combine one can of chickpeas that have been drained and washed, 1½ cups halved cherry tomatoes, 1½ cups chopped bell pepper, and 4-6 Tbsp. balsamic vinaigrette (or 3-4 Tbsp. balsamic vinegar and 4 tsp. olive oil). Mix well. Divide evenly between three large food storage containers (with two compartments if possible). In same containers, arrange two large lettuce leaves and two veggie burger patties. Serve with mustard and remaining sliced raw onion (if desired). 13. Heat a large sauté pan over medium heat. Add 1 Tbsp. olive oil (or coconut oil), 1½ cup broccoli florets, and 1½ cup snow peas. Cook, stirring frequently for 3–5 minutes until tender crisp. Season with salt and pepper if desired. Set aside to cool. When the vegetables are no longer hot, divide them between three food storage containers. Add 3 oz. marinated tempeh to each and place in the refrigerator. 14. Prepare daily hummus snacks. In each of five food storage containers, place ¼ cup hummus and assorted dipping veggies. Place in refrigerator.